I will show practical examples and use cases from Yandex and other companies. Aleksei Milovidov, Dev Lead at Yandex. Since 2008 has been developing data storage systems for Yandex Metrica. 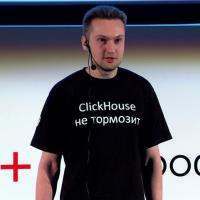 ClickHouse project founder and developer.